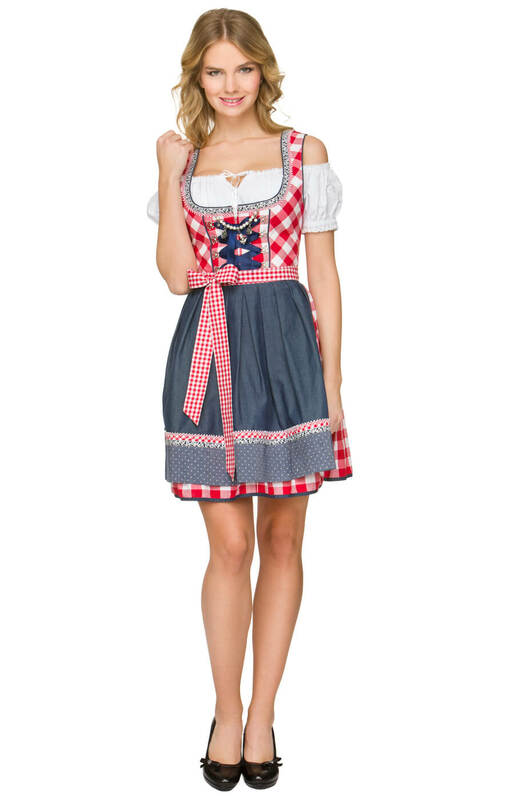 Minidirndl Kitty 50cm in Red. 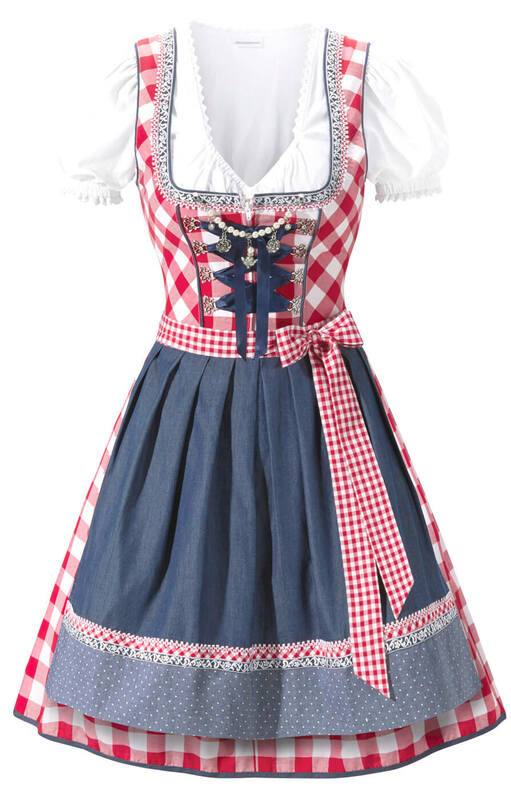 The Kitty minidirndl in red has a bodice in red and white checked fabric, cut on the bias to give the effect of diamond shapes, edged with red and white braid. It fastens with navy ribbons threaded through antique silver bodice hooks and comes with its own pearl necklace and charms. 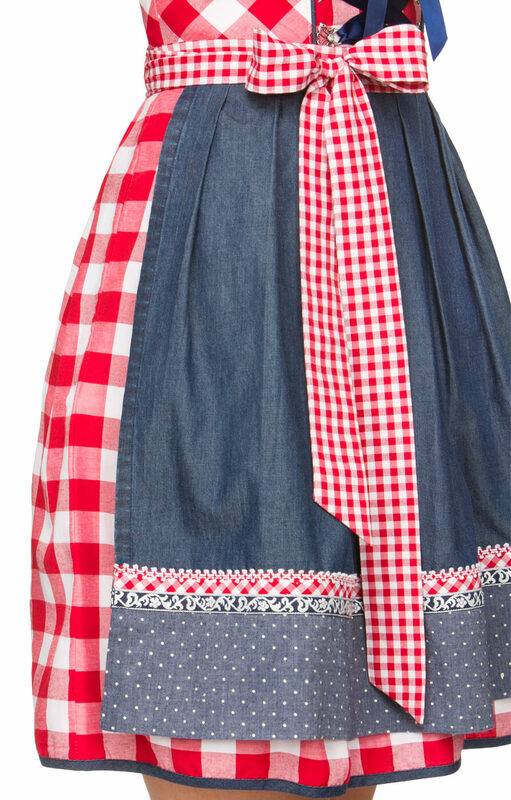 The skirt is of the same material but cut along the grain to give the effect of squares; the plain navy apron has a red check braid trim and a deep border of spotted navy fabric. 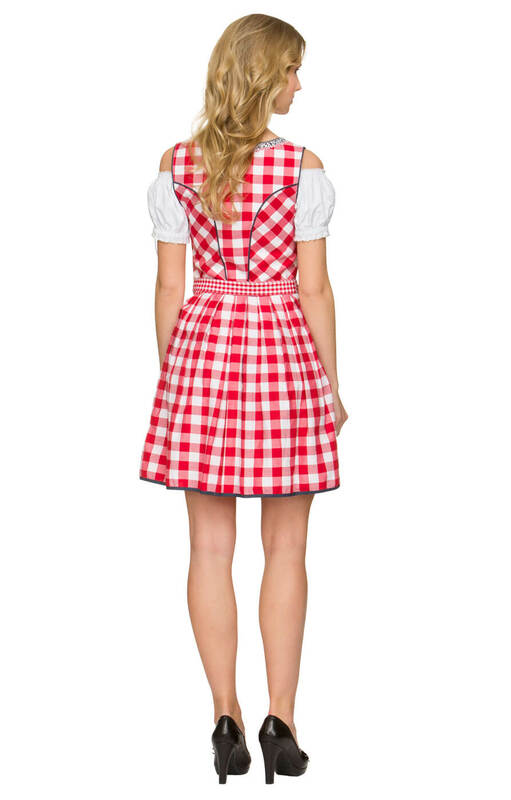 A red check sash completes this beautiful minidirndl that is ideal for any special occasion, whether Oktoberfest or not.